We are very excited to be hosting the Journalism for Citizens workshop tomorrow at IIM Bangalore as part of our Summer Fundraiser. A big shoutout to all the folks who have registered for the workshop; not only because you are supporting independent community media, but also to appreciate your involvement as an active citizen working for a better Bengaluru! Tree planting, housing for backward groups, more money on infrastructure – these are some of the items that the BBMP budget puts forward. Never close to reality, the budget for 2016-17 looks seriously bloated! Read: Congress follows BJP, with bloated BBMP budget. An ambitious target of Rs 2,300 crores has been set for property tax in the budget. In reality, the property tax collection in 2015-16 was only Rs 1,350 crores. Read the analysis of the budget by Bharathy Jayaprakash of Janaagraha. Plastic manufacturers and traders had challenged the State government’s decision to ban single use and non-recyclable plastic products at the High Court on Wednesday. 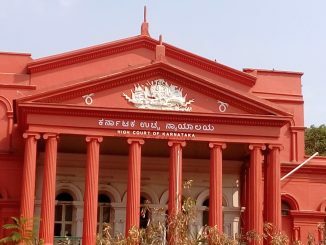 The High Court, however, dismissed their petition on technical grounds, and stated that they could question the ban at the National Green Tribunal. Read: HC refuses to stay plastic ban. In other news, citizens are gathering at Freedom Park tomorrow to celebrate the ban on plastic. What are the concerns of the artists who are opposing the MoU between the government departments and Tasveer Foundation with regard to Venkatappa Art Gallery? Here’s an opinion from the artist fraternity: Why artists oppose the takeover of Venkatappa Art Gallery. A different perspective we published earlier: V Ravichandar, co-chair of the Karnataka Tourism Vision Group (KTVG), analyses the situation and possible solutions. Read: PPP can help improve Venkatappa Art Gallery. Attend Bhumika, a film festival that pays homage to the life and cinema of national award winning actor, the late Smita Patil. Nine of her films are being screened, including the Kannada movie, Anveshane. Read: Film festival to celebrate actor Smita Patil’s legacy. Been hearing about the Swacha Graha challenge, but not sure where to begin? A proponent of the initiative shares answers to some commonly asked questions. Read: Why you should take the Swacha Graha pledge today! The latest data compilation of Indian Green Buildings Council (IGBC) which rates cities with the highest number of registered green buildings, has rated Bengaluru as the third greenest city in India. Bengaluru bagged the third position among 25 Indian cities with 333 registered green buildings. Karnataka Electricity Regulatory Commission (KERC) has announced a hike in electricity tariff with effect from April 1st. It has initiated a hike of 48 paise per unit for all electricity supply companies. Get set to pay hiked property tax from April 1st. In a notice issued on March 26th, the ruling party leader RS Satyanarayana has said that property tax will be increased by 20 per cent for residential properties, and 25 per cent for commercial properties. Around 30 loco pilots and 35 maintenance engineers have resigned from Bangalore Metro Rail Corporation in the last two months due to low salaries, according to news reports. However, BMRCL has claimed that there is no shortage of loco pilots and engineering staff. Citizens of HSR Layout have initiated the ‘Kill Bill’ drive, which aims at removing illegal billboards in the area. Last Sunday, members of Hasiru Mithra and BBMP civic workers cleared posters from the flyover along Begur road. For the second time, the II PU Chemistry exam question paper was leaked following which the re-examination was cancelled on Thursday. The exam which was first scheduled on March 21st was cancelled and postponed after a student alerted the authorities about the question paper leak. Laugh away on April Fool’s Day at Fool Proof Improv, happening at the Rangasthala Auditorium on April 1st. East India Company vs Bollywood: a stand-up show where comedians take down Bollywood’s abundant stupidity, happening at Phoenix Marketcity on April 1st. Visit a wrestling akhada, watch the weavers of silk saris at work and catch a scrumptious south Indian breakfast at The Silk Tales on April 2nd. Watch That Night, a psychological thriller play about a couple and their relationship, at Alliance Francaise on April 2nd. Make your way to Alliance Francaise on April 3rd for Dastangoi, a session featuring the traditional Urdu way of storytelling. Makers on the Move is looking for volunteers to facilitate community appraisal workshop in slums in Jayanagar and Puttenahalli across April. Follow this link if you can pitch in.